Welcome to the University of Nevada Cooperative Extension's Living with Drought website. 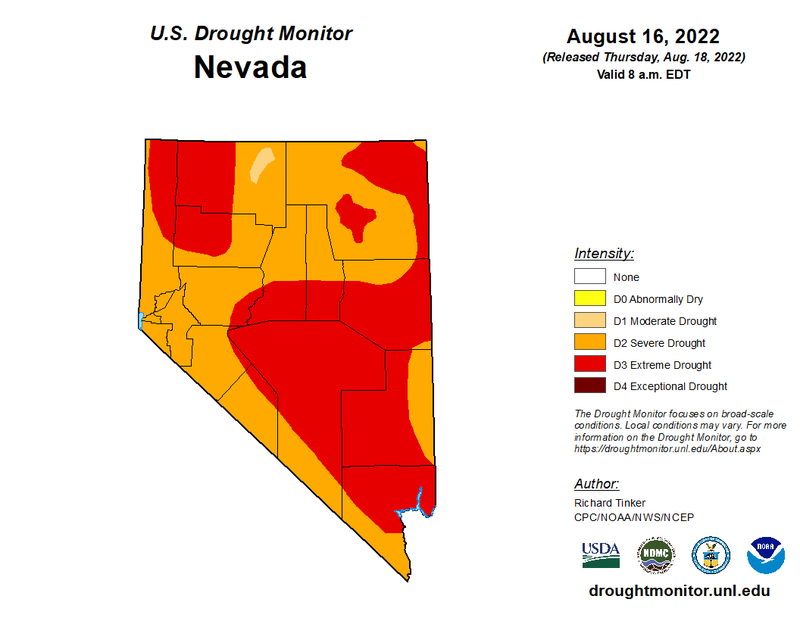 Our goal is to connect the citizens of Nevada to essential drought resources, current research, and local drought experts to help address and assess the impacts of drought. Click on the tabs below to view the current drought status information for both Nevada and the U.S., including up-to-date monthly and seasonal drought outlook maps. These maps, and many more, including ones you can customize and download, can be found at the Drought.gov. This map is updated weekly. 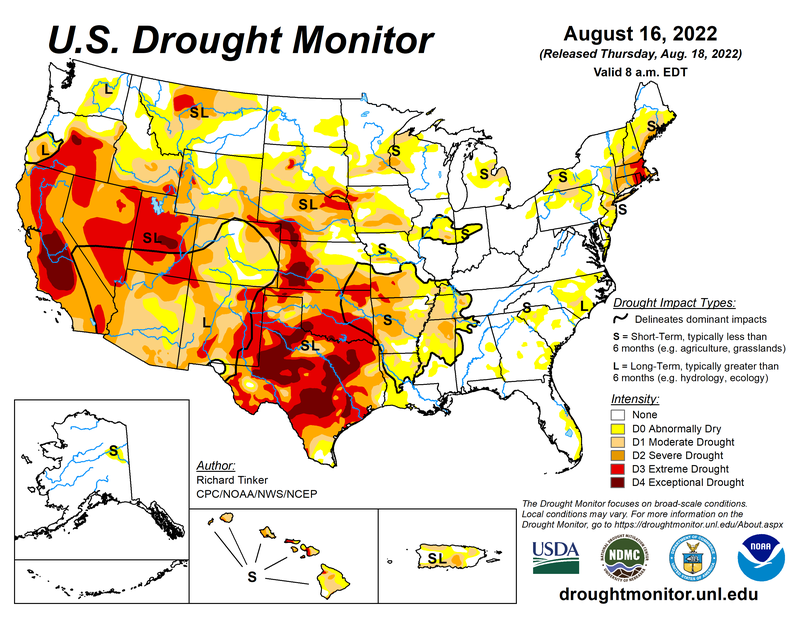 For more maps and visualization tools, please visit the U.S. Drought Monitor. This map is updated weekly. 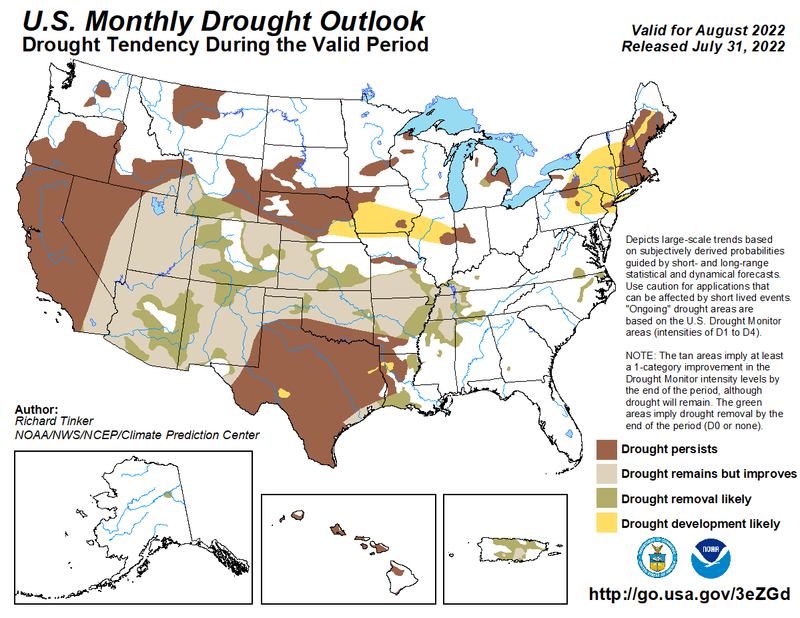 For more maps and visualization tools, please visit the United States Drought Monitor. The monthly outlook map is updated at the end of each month. For more drought maps and information, visit the Climate Prediction Center's Drought Information website. The seasonal outlook map is updated every Thursday. 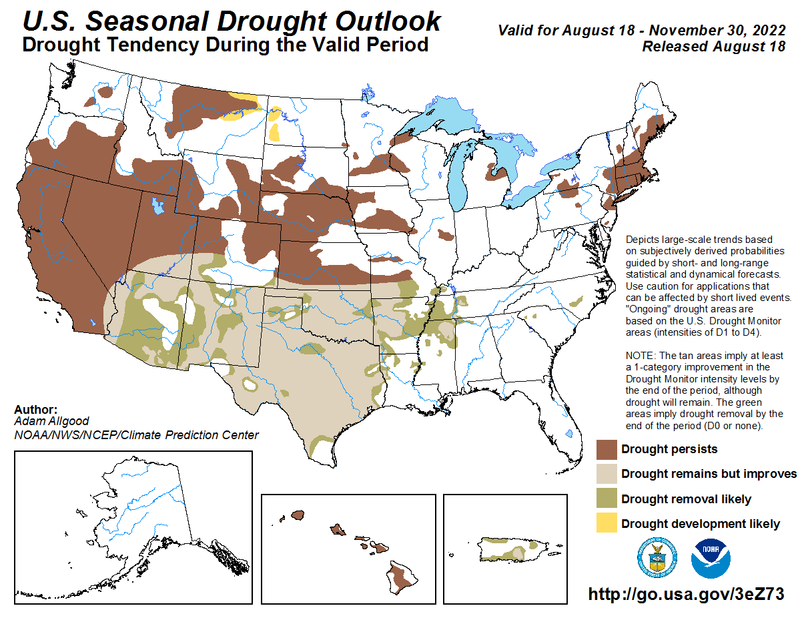 For more drought maps and information, visit the Climate Prediction Center's Drought Information website.